Glenburgie Scotch Whisky Distillery was built around 1810 and again is located in the Speyside region of Scotland. 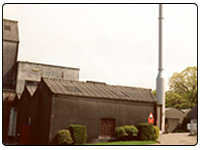 This distillery is still currently producing with the Glenburgie 15 Year Old the main single malt and is used to produce the Ballantine’s blends. The contact details for the distillery are Glenburgie Distillery, By Alves, Forres, Morayshire, IV36 2QY with the contact phone number being +44 (0)1343 850258.